Say hello to my new Missguided jumpsuit. 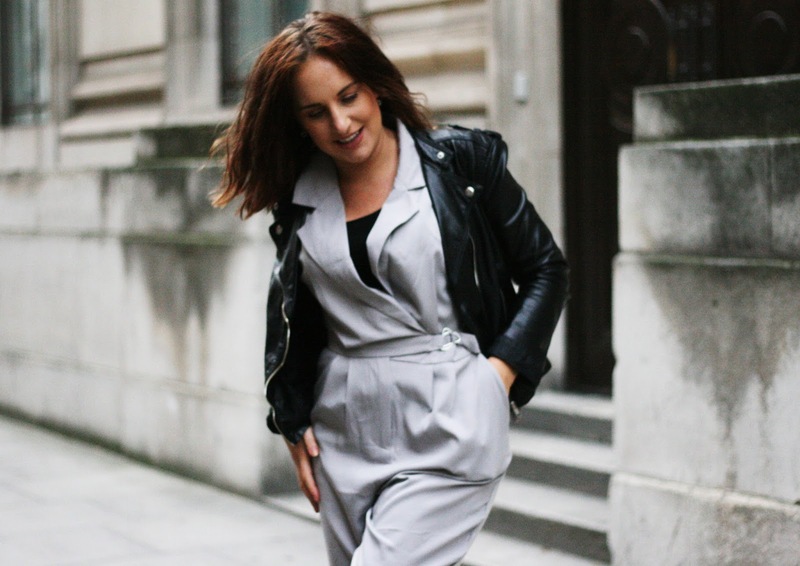 A stylish, grey jumpsuit for a mere £35, surely something had to be afoot? Nope, no catches, in fact, it was better than I expected. The fabric felt more like a garment double it's price and the fit was pretty much on point, not forgetting it scored 10/10 on the comfort scale. 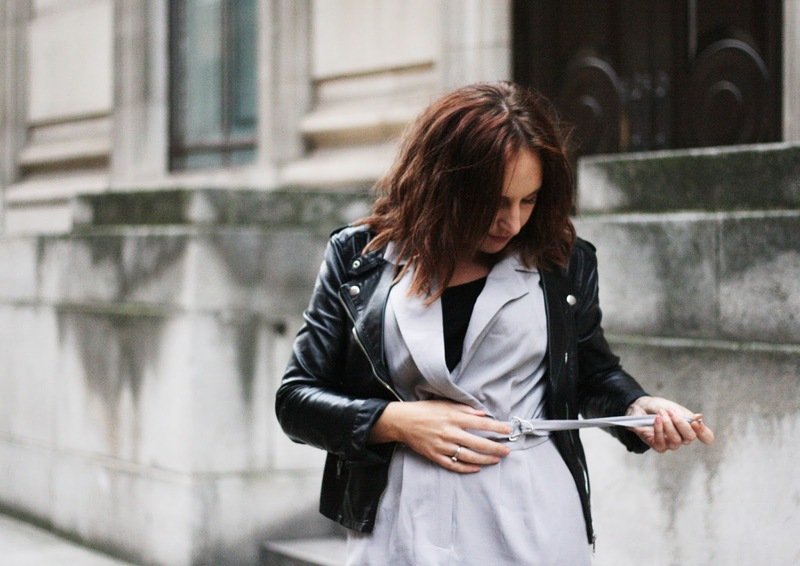 The jumpsuit is the ultimate lazy girl trend and I can't tell you why I haven't embraced it more - as I can be one hell of a lazy dresser. This screams lazy Monday morning vibes to me. You're desperate to hit the snooze alarm yet you still want to look like you made an effort when you walk into the office. Hellllooooo jumpsuit. So thank you Missguided, I am all for an extra 10 minutes in bed, as well as looking like I put my style thinking cap on when I get dressed. Add to my to-do list - purchase another jumpsuit. Babes I absolutely adore this look! You look freaking awesome and real happy with how the shots came out. That jumpsuit and leather jacket combo is the best! I love it! That leather jacket is GORGEOUS! I need it in my life..
Love this jumpsuit, you look so effortless, i need one for myself! This look is so casual-cool! Love the jumpsuit paired with the leather jacket.